This entry was posted on Sunday, March 18th, 2018 at 1:01 pm and is filed under Politics. You can leave a response, or trackback from your own site. Everything sponsored and pushed by the left has been to disrupt President Trump and his supporters. There has been a massive effort to interrupt and delay good government practices that would benefit the citizens of our country. The delay would hold things off until Queen Hillary is crowned and the new world order is in place. There can be no doubt by intelligent Americans that the intent was to use the last election to bring that about. What we need now is a bona fide special prosecutor to bring the real criminals (traitors) to justice. Now is the time! 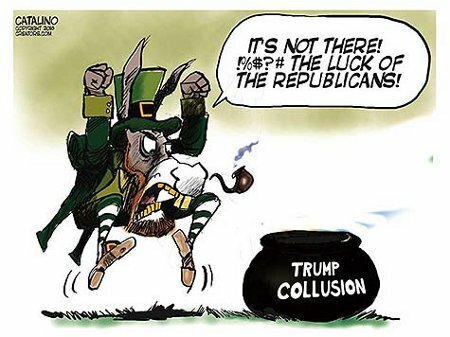 I’ve said repeatedly that the Dems don’t fear any failure on President Trump’s part; they fear his success because, if he succeeds, there’s no longer any purpose to their lives and livelihoods. I add a third vote to that.